Duplicates can drive people nuts. They eat free space on SSDs and HDDs, slow down your Mac’s work, confuse you while searching for an exact file. The good news is that you can actually get rid of them! What’s more, you can’t even imagine how many copies are there on your Mac. This article is going to teach you how to get rid of duplicates. Let’s begin with the easiest way of finding and deleting duplicates and then, we’ll see how to remove files depending on the format. I personally use Gemini 2 for this purpose. It is powerful, intuitive and very fast. It is not only me but other users as well who call this app the best one for removing duplicates. 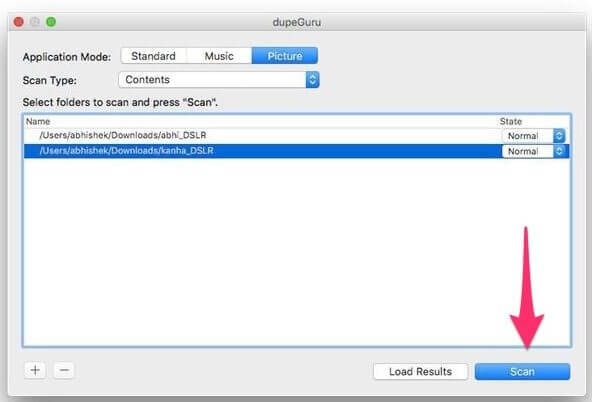 It does a deep scan of your Mac’s disk for both duplicates and just similar files. Gemini 2 marks similar pictures as duplicates even if their name is different. 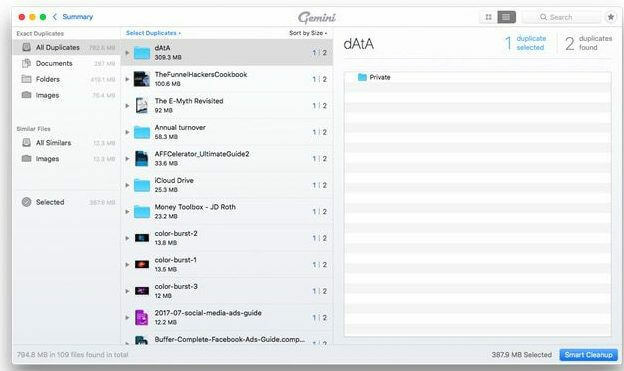 Launch the Gemini 2 app on your mac. Find it in Spotlight, if it is not in your Dock. Click a large button with the + on it or drag & drop a folder of your choice to app’s window. You can find duplicates in Pictures or Music folder, as well as in any other custom one. Proceed with ‘Scan for duplicates’ and wait until the process is complete. After it is completed, go to ‘Review results’ and see what the app has found. Review all the files carefully to avoid accidental deleting of necessary files. 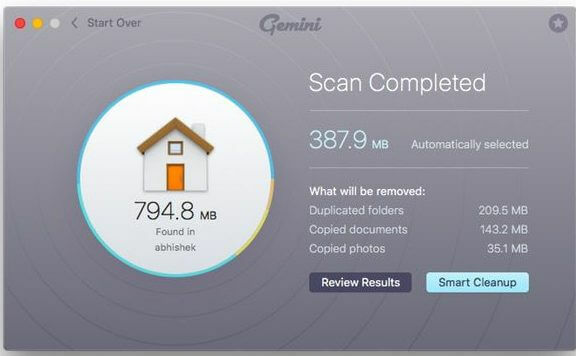 Then click ‘Smart cleanup’ and Gemini 2 will remove everything excess to the Trash bin. In case you delete something by accident, just visit Trash and recover this file. This app is an alternative to Gemini. This is great software too, however, I prefer using the first option. Those who use Sierra and High Sierra may have problems with launching this app, Mac tells a user that the app is from an unidentified developer. But no worries, this can be easily fixed! 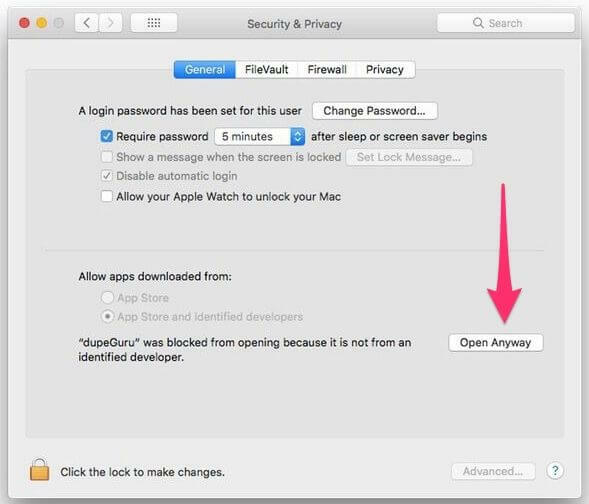 Visit System Preferences, go to ‘Security and Privacy’ and select ‘Open Anyway’. Select the kind of files you want to scan (pictures, music or other files). Select a folder by clicking a button with the + on it. 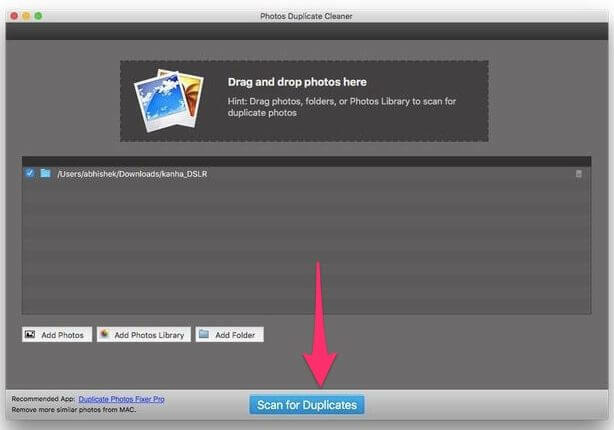 After the completion of your scan, you are free to choose what to do with the duplicates. You may move them elsewhere or delete. For me, this app takes a bit more time for scanning than Gemini 2 does, however, it is pretty similar and works well. While the mentioned apps work with all kinds of files, let’s see what to do if you need to remove just images. This point will be useful for those who have tons of pictures stored on Mac. 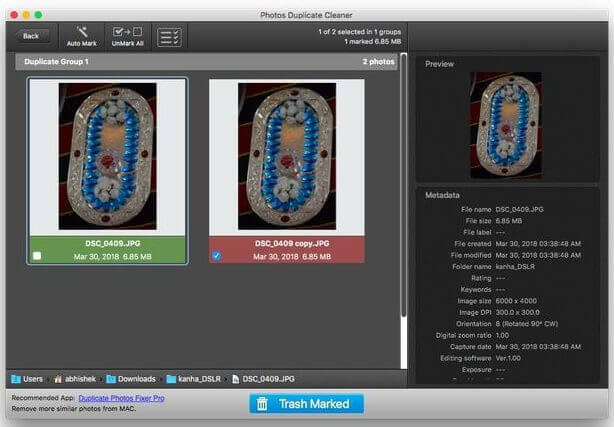 There is a free and simple app called Photos Duplicate Cleaner that is going to do all the work for you. Get the app, install and launch it. Choose ‘Add folder’ and select the pictures you want to scan. You can also click the ‘Add photos library’ button to get pictures from the Photos app. Review the results once the scan is over. Choose ‘Auto mark’ to select 1 copy for each duplicate file. Keeping the address book clean is not a piece of cake. Duplicate contacts is a widespread phenomenon, but everything can be fixed with a built-in app for free. It takes not more than a couple of minutes. Find ‘Card’ in the menu and select ‘Look for duplicates’. After the scan, the app will merge duplicate contacts into one card. It will also offer you to delete them. Find ‘File’ in the menu, go to ‘Library’ and select ‘Show duplicate items’. The app shows similar files based on the name and the artist. 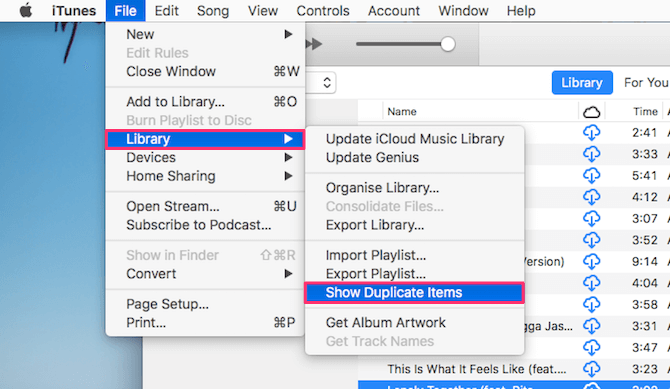 Before deleting something, sort the list of songs by name or artist to easily find similar files. Use genre or time duration to make the search more effective. After reviewing the songs, hold down the Command key and select songs you want to delete. Right click and click ‘Delete’. Click ‘Done’.